The city manager is the chief administrative and executive officer of the city and is responsible to the City Council for the proper administration of all city affairs. 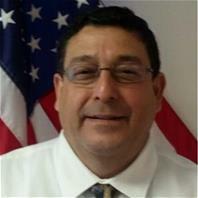 He is responsible for making recommendations concerning policies and programs to the City Council. Implementing policy decisions made by the council. Preparing and submitting to the council an annual budget and responsible for its administration after adoption. Advising the council of the financial condition and future needs of the city. The city manager’s role is to implement the council’s vision. Additionally, before the council formulates the vision it is important for the city manager to put forth a variety of options representing the needs of the community, so that the council can discuss, agree upon, and provide direction on their vision. Once the vision and direction has been established, the mayor and council continue to serve the community by periodically tweaking the vision, while the manager works with the city’s employees to carry out the council’s plans. The City Manger is entrusted with the spending the public's money as wisely as possible and to use it to work for the greater good of the community. 411 E San Patricio Ave.
How is the city manager appointed and how long does he, or she, serve? Who should I contact if I have a concern or a complaint about a city service?